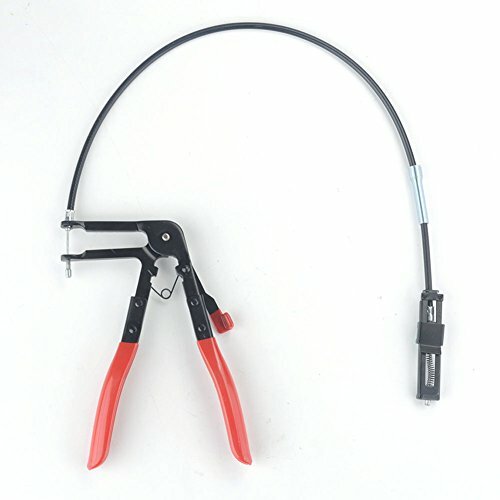 Making removal and installation of clamp easier, specially designed for easy hose replacement. Long reach tool designed to get to awkwardly positioned tag type hose clips. Flexible cable and compact head help operation in confined spaces. Dipped handles for comfort and grip when using this tool.